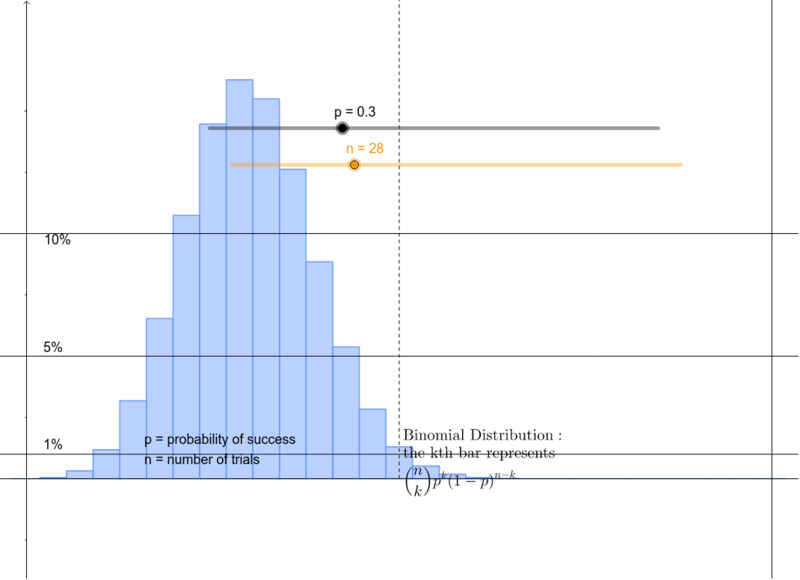 Drag sliders for the probability of success "p" and number of trials "n" The kth bar represents the probability of succeeding exactly k times out of n. Try this: drag the sliders to display the distribution that would represent a 12 question multiple choice test with 4 answer choices. What is the most likely # of questions a student would get right if they guessed randomly? What are the approximate chances that they would get more than half of the questions correct if guessing randomly?